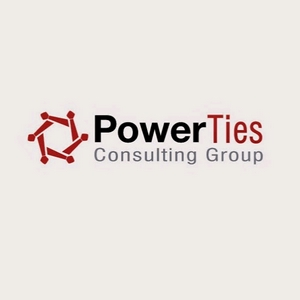 Welcome to PowerTies Consulting Group. On Daily Dose of Power, Keith Tully shares his thoughts on life and business hacks that really work! Keith Tully or PowerTies Consulting Group talks about Jeff Bezos "Amazon will go bankrupt." quote and why that shows what Pure Vision look like in business. Keith Tully of PowerTies Consulting Group talks about challenging your preconceived notions and how we recognize our pivot moments and what to do when we arrive at those moments. Keith Tully of PowerTies Consulting Group talks about how being grateful has changed his business and that of his clients over time. Building a culture of gratitude changes everything for the better. In episode 6, Keith Tully of PowerTies Consulting Group gets interviewed (sort of) by a fellow user from Anchor. Discussion is about what it's like to consult and what benefits and ideas that Keith and PowerTies have about how to help Clients most. Keith Tully talks a bit about why it's always best to do what good for you AND also for others in business (and in life). Keith Tully, Managing Partner of PowerTies Consulting Group discussed some ideas about Relationships and Culture at Work. In episode 3 of your Daily Dose of Power, Keith Tully describes how creating a mindset of organization and sustainability around your business can help build your business and also help you maintain your sanity as you operate daily. Episode 2 - Making the most of your collaborations and meetings. As a business consultant, Keith Tully of PowerTiee Consulting Group attends many meetings and knows how make the best of the time spent in those meetings. He shares several tips on how to make a process for your meetings in this podcast so that you can make the most of your time with your team. And most importantly, using the techniques listed, you can take massive action and make real-time decisions during and immediately after your meetings. People will be much more engaged during these collaborations and will be more productive afterwards as well! Keith Tully, Managing Partner of PowerTies Consulting Group and West Point graduate begins his podcasts to insert a bit of Powerful Leadership, Business advice, and Life hacks to brighten your day and lighten your load. Getting it done faster and easier means learning from your own and other people's mistakes. In this podcast, Keith shows why failing forward is completely acceptable, and why you have to give yourself and your team permission to fail small sometimes in order to win big!